Sunday night was a rough night in the FMQB household, and we’re not even remotely Broncos fans. 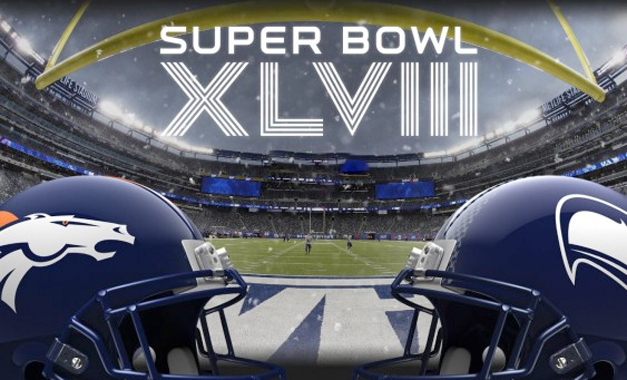 For me, I want 2 things when it comes to the Super Bowl: to see the greats win it, and for it to be a close game. We’ve been absolutely blessed by the latter in recent years. I think I’m so obsessed with the history of the NFL, that I want to be able to tell my grandchildren “I watched Peyton Manning play, he was the greatest quarterback of all time.” And I think watching greatness struggle and fail is tough. Throughout the game, I was literally in shock to what I was witnessing and just kept thinking how disappointing this was. I have since gotten over it (thank God it wasn’t the Rams who lost) and have began to truly respect what the Seahawks did this year. But let’s start with the game. Twelve seconds into the game, you could already tell it wasn’t going to be good for the Broncos. I was probably the most confident after going down 2-0, telling FFMQB that it wouldn’t matter. (Interesting to hear that the Broncos were surprised how loud it was which led to the early mistake, I guess the 12th Man did show up). Even after the 1st quarter, the dominance of Seattle seemed diminished by the fact that they had scored 3 times, and yet it was still a 1 possession game. The Seahawks weren’t going to win on FG’s and Safeties alone. But the Denver offense just couldn’t get going the entire game. At one point, I mentioned how Peyton wasn’t going down the field at all, it seemed like their gameplan was to get the Seahawks with tons of screens and short passes. As my rival columnist TMQ pointed out, the old football adage is “Run toward speed and away from strength.” Meaning all the horizontal movement and crossing routes isn’t going to work against a speedy defense like the Seahawks. This gameplan completely did the Broncos in. It took 20 minutes for Denver to even get a 1st down, and the drive in the 2nd quarter proves my point. Denver did all these dink and dunk passes, had a 16 play drive that only went 49 yards in 8:39 before Manning threw his pick 6 to Malcolm Smith. They basically wasted an entire quarter and drive to come away with no points (or really come away with negative 7 points). That was killer as well. Going into halftime I thought they still had a shot to make it close. Percy Harvin running back the 2nd half kickoff for a TD was the true nail in the coffin. Up 29-0, that made the entire second half garbage time (which was kind of disappointing). 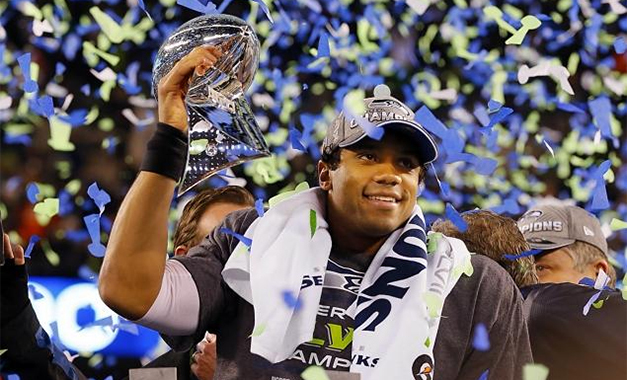 There are 2 key things that I feel led to the Seattle victory: First, it was a total team win. Each aspect of the game was top notch, and there truly was no clear cut MVP. I felt that Kam Chancellor (safety), Cliff Avril (DE), Malcolm Smith (LB), Percy Harvin (WR), or Russell Wilson could have gotten it, and that’s impressive to have that many guys who played lights out. Second key: The lack of Omaha. Seriously, did anybody hear Peyton say that at all? The Seahawks could have shown up for the first 12 seconds of each half and still won the game. They scored a Safety on the first play of the game, and ran back the opening kickoff. In fact, if you look at the blowouts, only a couple are by offensive teams. By and large it’s the defensive team with the huge score in all of these games, which is a pretty interesting tidbit. For the 3rd straight Super Bowl, a Safety was scored. 2 of the last 3 Super Bowls saw the first score of the game as 2-0. The Broncos scored on 10 of 14 postseason possessions. But in the Super Bowl, they scored on only One of 11 possessions. The Broncos have lost a record 5 Super Bowls in their history. How depressing to be a Broncos fan, they lose a Super Bowl every 7 years on average. The Seahawks were the 1st team to score a Running TD, Passing TD, INT return for TD, KO return for TD, Safety, and FG in a Super Bowl. In the last 2 Super Bowls, the 2nd half has opened up with a Kick Return TD. Both by the winning team. Of course every team has confidence after winning a championship, but many times you can tell it was a 1 and done thing (i.e. the Ravens of last year who missed the playoffs completely this year). But the Seahawks could have something going here. They don’t have any major needs, and aren’t exactly losing any key parts to free agency this year (Golden Tate is arguably the best player that could leave). The key point is the fact the Seahawks are the 2nd youngest team in the league, with many of their Superstars still under inexpensive rookie contracts. Russell Wilson and Richard Sherman still have another year on their original deals. The Seahawks have done an amazing job drafting recently. The Super Bowl MVP Malcolm Smith was a 7th round pick, and the best cornerback in the game, Richard Sherman, was a 5th round pick. Russell Wilson was a 3rd round pick, taken after Andrew Luck, RGIII, Ryan Tannehill, Brandon Weeden, and Brock Osweiler. It’s scary to think that the Seahawks could only be getting better. Russell Wilson joined Kurt Warner, Tom Brady and Ben Roethlisberger as the only 2 QB’s to win the Super Bowl in their 2nd year. This is pretty good company, considering that those 3 QB’s have started in 10 Super Bowls, which lends well towards Wilson’s potential success as a QB. Wilson also just broke the record for the most wins in a QB’s first 2 seasons (28), breaking Roethlisberger’s record. No more asking him about his baseball career or college days American Family, time to ask him about his Super Bowl win! FMQB made a comment about Bruno Mars, saying “What is he standing on, a giant Roomba?” Being the more social media savvy of the two of us, FFMQB tweeted this at iRobot, and the company re-tweeted it! 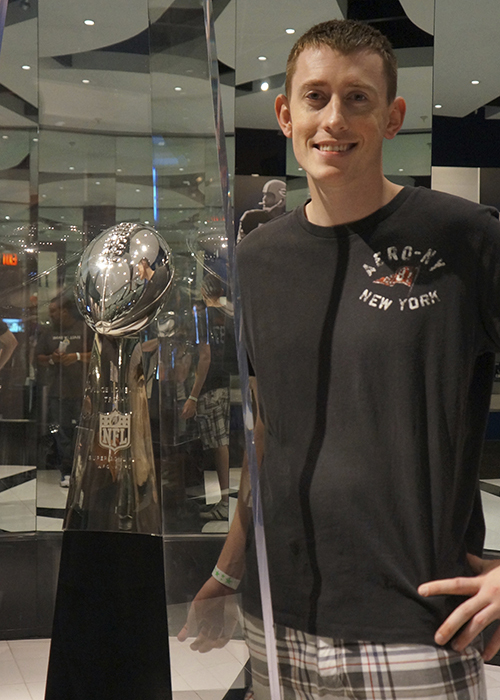 I saw this year’s Lombardi Trophy before Russell Wilson did. Anybody who read my random summer article knows why, but here’s proof! This was during our trip to the Hall of Fame. 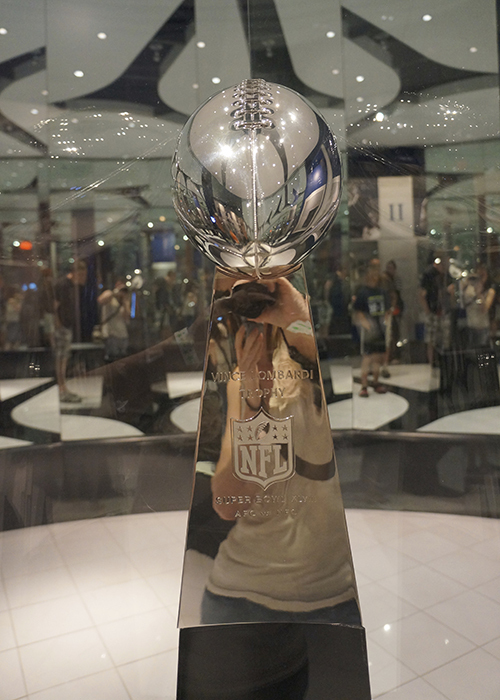 Here is the 2014 Lombardi trophy (un-engraved of course) that got handed to the Seahawks on Sunday.